Knights of Columbus Cathedral Council #6790 | In Service to One. In Service to All. Business meetings are held the first Wednesday of each month at 8:00 pm in Burke Hall. We gather before the meeting (at 7:45 pm) to pray the rosary. For more information on council activities, please visit the council activities page. 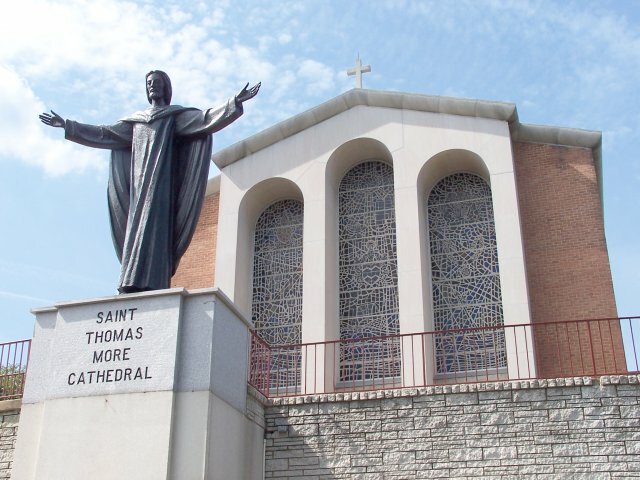 Cathedral Council was founded in 1976 through the efforts of founding Grand Knight John Grant, Deputy Grand Knight Robert Hernandez, Chancellor Robert Hahn, and other Catholic men desiring to serve. 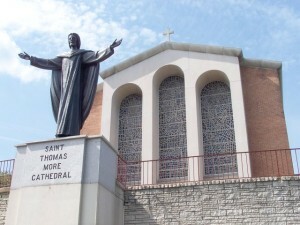 Today the Cathedral Council works closely with the Cathedral of St. Thomas More in Arlington, Virginia, providing funds for various projects, with its members as active participants in the parish.